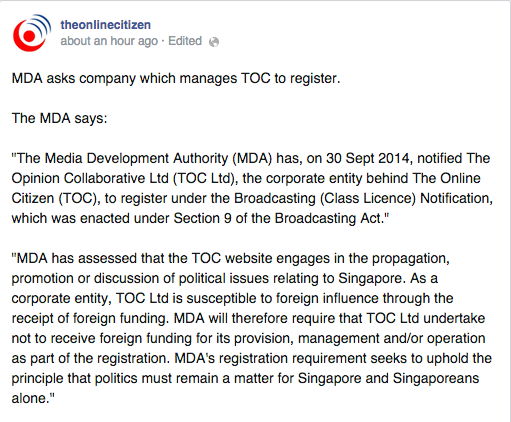 MDA Now Asking The Online Citizen To Get Registered, TOC To Respond "In Due Course"
According to the release, the licensing will include TOC Ltd not receiving foreign funding for its provision, management and/or operation, in order to “uphold the principle that politics must remain a matter for Singapore and Singaporeans alone”. 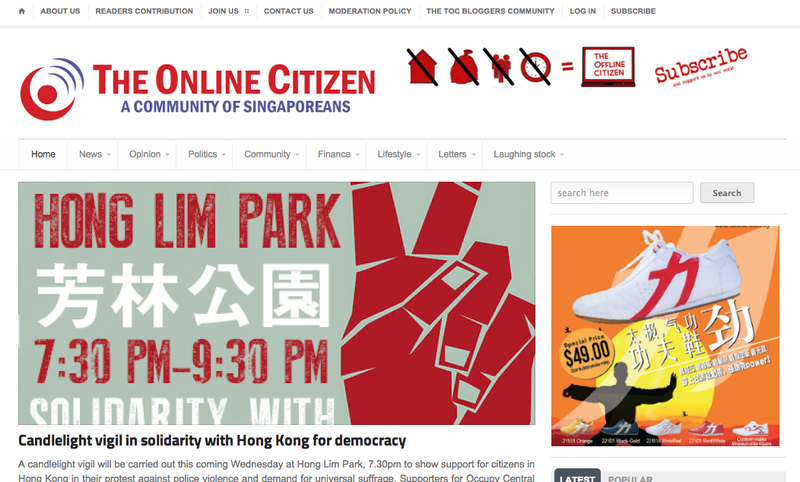 The Online Citizen is well known for being an alternative news source for politics in Singapore, dedicated to “provide an online platform for Singaporeans to champion causes and values that promote justice, openness and inclusiveness”. They are also gazetted as a political association under the Prime Minister’s Office. The request for registration was acknowledged by the publication with a Facebook post on their page. The Online Citizen has also replied with an article, stating that it is “studying the registration requirements.” It also says that registration will not affect the content published on its website. It isn’t the first publication to be asked to register. Both The Independent and Mothership.sg have been registered under the Broadcasting (Class Licence) Notification. However, Breakfast Network chose to shut down operations as a company when faced with the same request in December last year. According to the MDA, the Breakfast Network operating without a license creates a “greater possibility for foreign influence”.